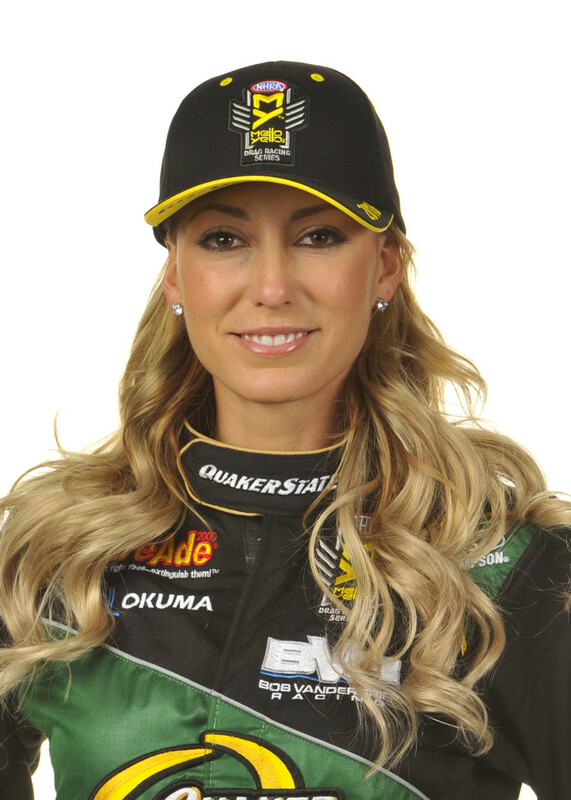 When the win light flashed on in Leah Pritchett’s lane in Phoenix at the NHRA’s last race, it had been a long, long time since a win felt so good in the sport. 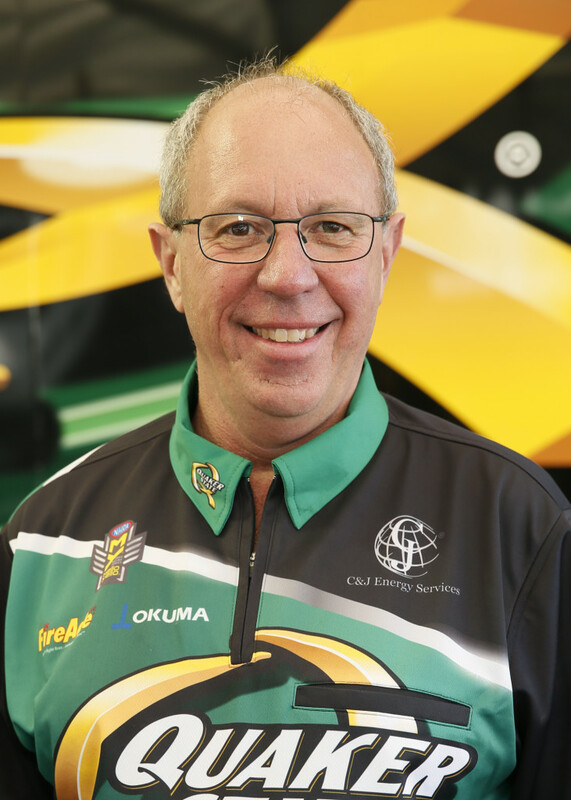 The Bob Vandergriff racing team has come out the gate in 2016 swinging in the Top Fuel category and as the team was jumping up and down at the starting line with exhilaration, none was any happier than its popular crew chief, Mike Guger. The celebration continued onward with a universal gratitude among the entire NHRA community saluting one of their own. 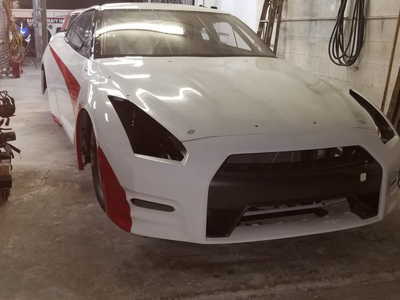 Guger has been around the sport of NHRA Drag Racing for most of his life, but most notably working with the master tuner, the late Dale Armstrong during his tenure at Kenny Bernstein’s Budweiser King Funny Car and Top Fuel dragster teams. 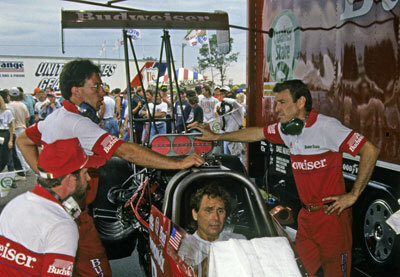 Being a part of the King Racing team for many years, he had plenty of opportunities to observe and soak in everything he could on the Funny Cars and Top Fuel Dragsters that he worked on with Armstrong along with all the other key personnel that Bernstein had built around him. The buildup to Pritchett’s magical moment in Phoenix started in 2015 as Guger led then driver, Larry Dixon, to six runner-up finishes. As frustrating as it was seeing the other lane light up a half dozen times, Guger knew his combination was a winner and along with his co-crew chief Joe Barlam, the two put their heads together and kept the pressure on. It was a long list of circumstances that prevented the BVR organization from heading to victory lane. 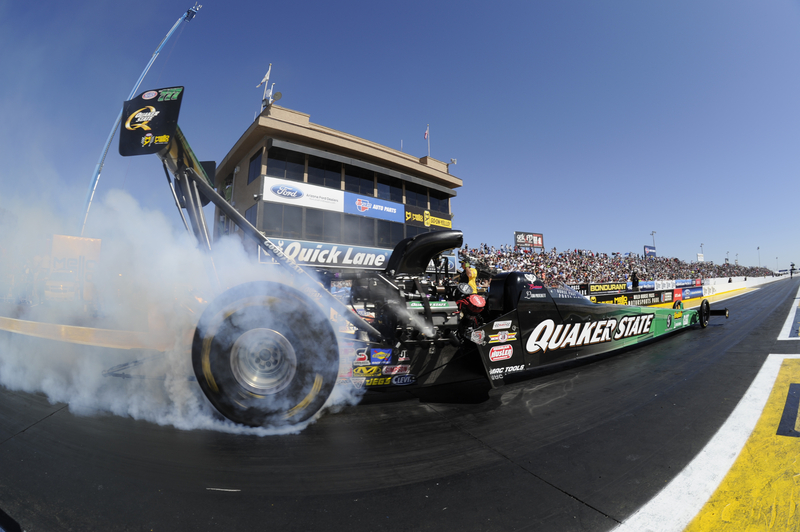 It wasn’t an easy road in Arizona to the winner’s circle for the Quaker State team. First off, Pritchett smoked the tires first round against J.R. Todd literally driving the wheels nearly off her ride. She benefited against a rare red light from defending Top Fuel champion, Antron Brown, advancing to the semis to outrun Clay Millican with her 4.832 pass. It was in the finals that Leah’s desire proved more fateful for her cause by beating Brittany Force on a hole-shot (3.775 to 3.774) in the first all-female Top Fuel final round since 1982. After getting back to the pits at that moment of solace reflecting back on the day when you realize what’s just happened and it all begins to sink in, you would think the conversation would be active, but according to Guger is was just the opposite. Of course, Guger couldn’t forget the other half of the team co-led by clutch specialist, Joe Barlam. Car owner, Bob Vandergriff, is a smart man letting his team’s ebb and flow on race day be in the crew chief’s hands. He trusts the guys running their teams and Guger appreciates letting those decisions fall on him. This year with the Amalie Oil Gatornationals coming up, could the team see back-to-back wins. Qualifying starts on Friday night at 9 p.m. EDT and Saturday at 6:30 on FOX Sports 1 with Sunday’s live finals starting at 1 p.m.